This all-weather pen writes on wet paper, upside-down, in temperatures down to -20 °C, and even in zero-gravity, fulfilling all your writing needs wherever you may be! 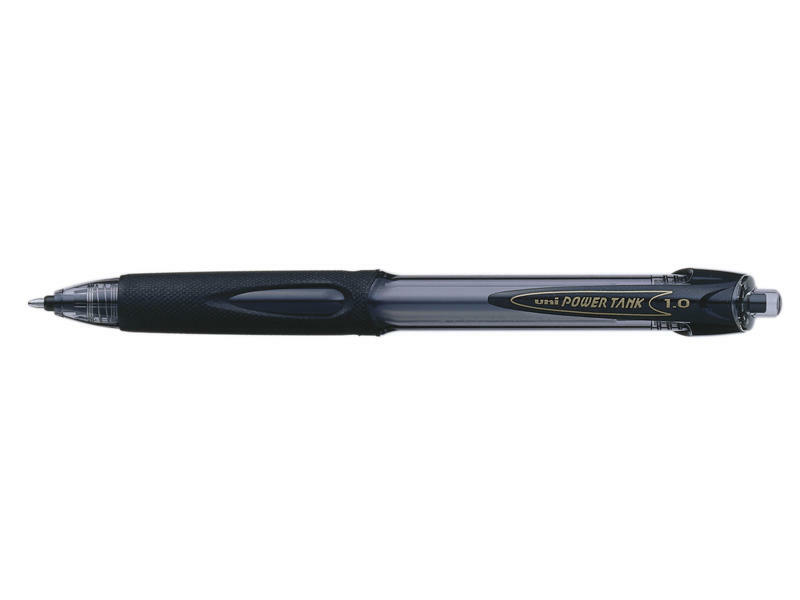 Pressurized ink tube allows it to write smoothly in extreme conditions. Features Uni-Super Ink that helps prevent against check and document fraud. Textured rubber grip provides extra comfort and control. Semi-transparent barrel lets you monitor the ink supply. Retractable to protect pockets and purses.